Wordless Wednesday: Spring Planting – What a Difference a Year Makes! This photo was taken on April 6, 2012. I posted it to Facebook with the caption: An awesome start to the 2012 planting season today: seeded peas, carrots, spinach, Swiss chard, mesclun, dandelion, faba beans, turnips, radishes, and parsnips. 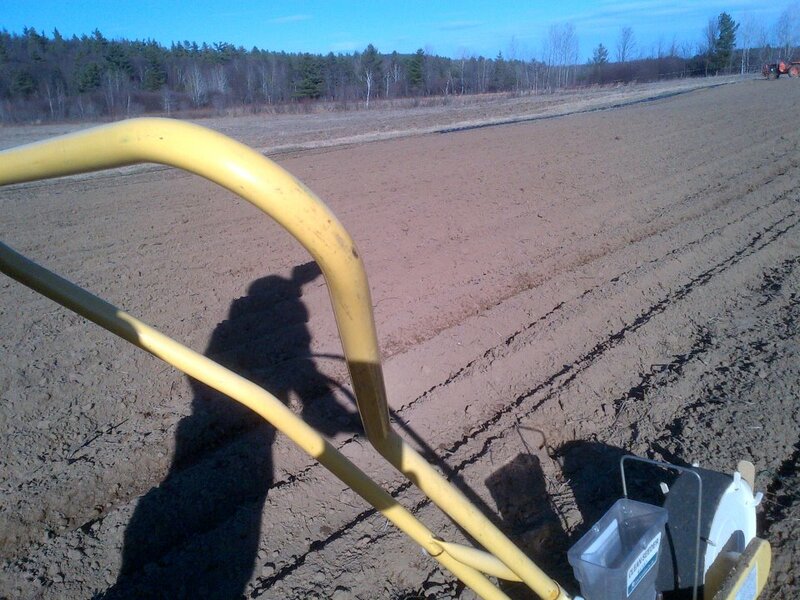 I covered about 5km with the push seeder in total, and never went more than 500 feet from the house! Here’s a photo of the same field (from a different angle) taken exactly a year later, on April 6, 2013. Still snow-covered, the ground underneath frozen solid. 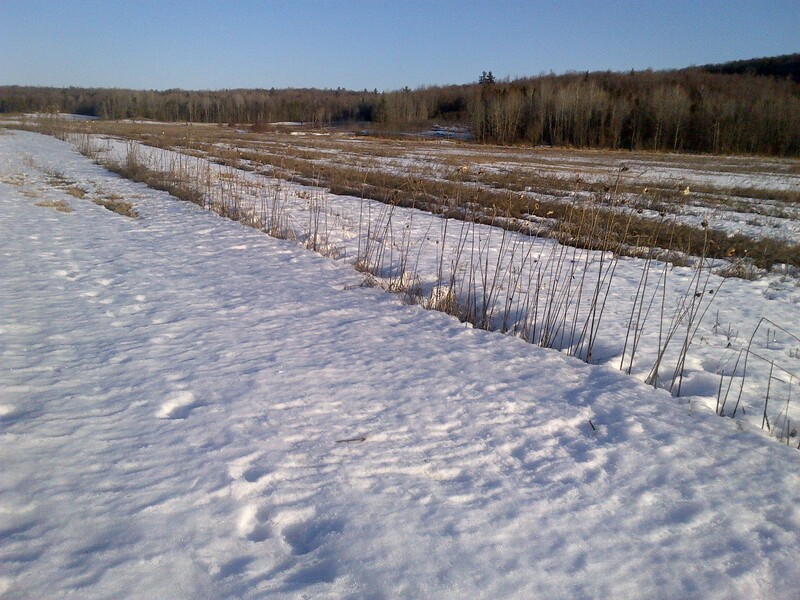 The never ending winter… Last year at this time we had barley and field peas up!